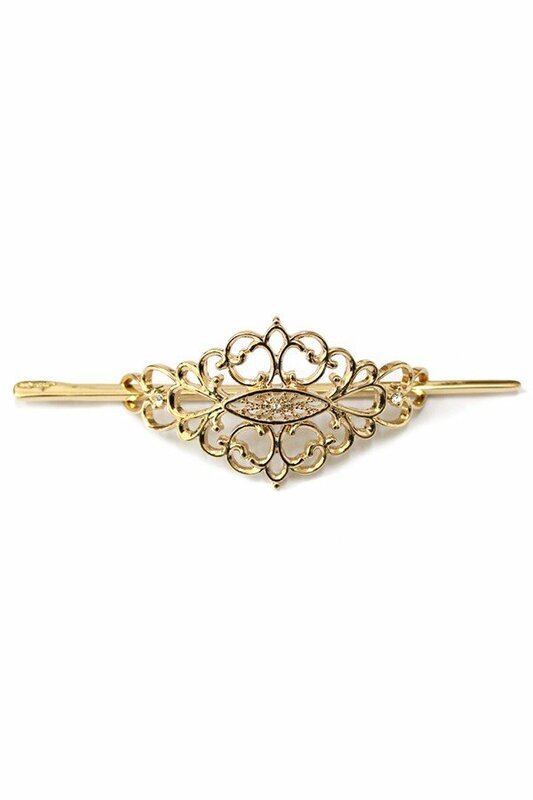 Description: Ornate hair pin with rhinestone accent. Approx. 2.5".